Exposure to a common visual illusion may enhance your ability to read fine print, according to new research published in Psychological Science, a journal of the Association for Psychological Science. “We discovered that visual acuity—the ability to see fine detail—can be enhanced by an illusion known as the ‘expanding motion aftereffect’ – while under its spell, viewers can read letters that are too small for them to read normally,” says psychological scientist Martin Lages of the University of Glasgow. To find out, the researchers employed a tool that can be found in any optometrist’s office: the classic logMAR eye chart. On this chart, letters are arranged in rows and the letters become increasingly smaller and more difficult to read as you move down the chart. 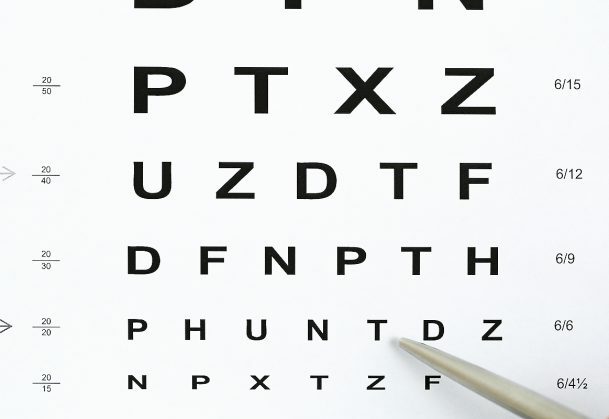 Optometrists calculate visual acuity based on the size at which a person can no longer reliably identify the letters. The experiment revealed that participants’ visual acuity differed depending on which spiral they saw. Participants who started with normal visual acuity and saw clockwise spirals—which induce adaptation to contracting motion and cause subsequent static images appear as if they are expanding—showed improved visual acuity. That is, they were able to identify letters at smaller font sizes after exposure to the clockwise spiral. But don’t throw out your eyeglasses just yet: The researchers note that the overall boost to visual acuity is small and fleeting. Nonetheless, this common visual illusion reveals a fundamental aspect of how we see, showing us that our ability to discriminate fine detail isn’t solely governed by the optics of our eyes but can also be shaped by perceptual processes in the brain. This research was supported by The Leverhulme Trust F00-179/BG (United Kingdom) and Erasmus+ KA2 TquanT (European Union). S. C. Boyle is funded by a Biotechnology and Biological Sciences Research Council WestBio studentship. All data have been made publicly available via the Open Science Framework. The complete Open Practices Disclosure for this article is also online. This article has received the badge for Open Data.